AIP Aloo Gobi is my new favorite thing because it is ooby goobi… idk haha, but I feel like it’s name illicit’s some odd play on words ;P! 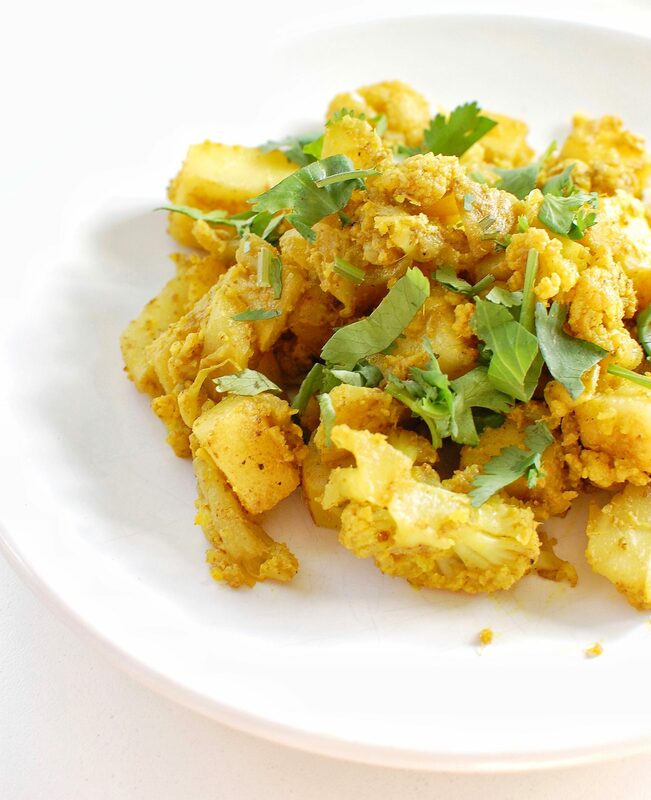 Aloo Gobi is a traditional, Vegetarian Indian dish that is made with so many healthful ingredients, but needed a few tweaks to be up to HR standards. 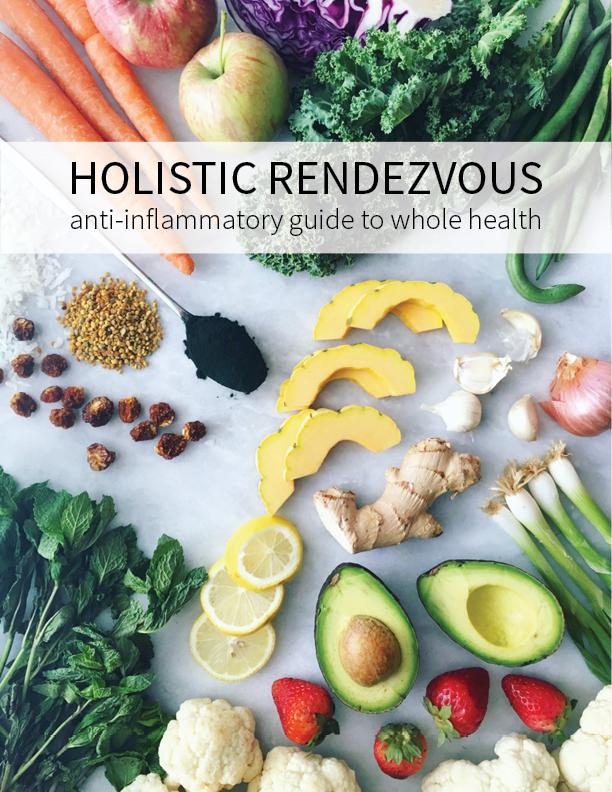 This mostly included making sure that a high quality fat/ oil was used as opposed to canola or another vegetable oil that is pro-inflammatory. Ghee was the obvious choice here since it is a staple in Indian cuisine and also has many health benefits! Grass-fed ghee is a warming fat, as opposed to coconut oil, avocado, or olive oil, which are more cooling. This means it is more grounding and definitely a great fat to use during the winter. It is also lactose and casein free, so it is fine for most people with dairy sensitivities! I love Tin Star Foods Brown Butter ghee, which you can grab here. The basis of this recipe is simply cauliflower and potatoes, plus a whole lot of garlic and ginger from the Ginger Garlic Paste. Ginger Garlic Paste is pretty much an incredible anti-inflammatory and immune boosting food that also adds a punch of flavor to any meal! Well I could go on and on about all of the amazing qualities of the different ingredients in this recipe, but I think you just need to go make it yourself. It’s super warming and grounding and you’re going to LOVE it! 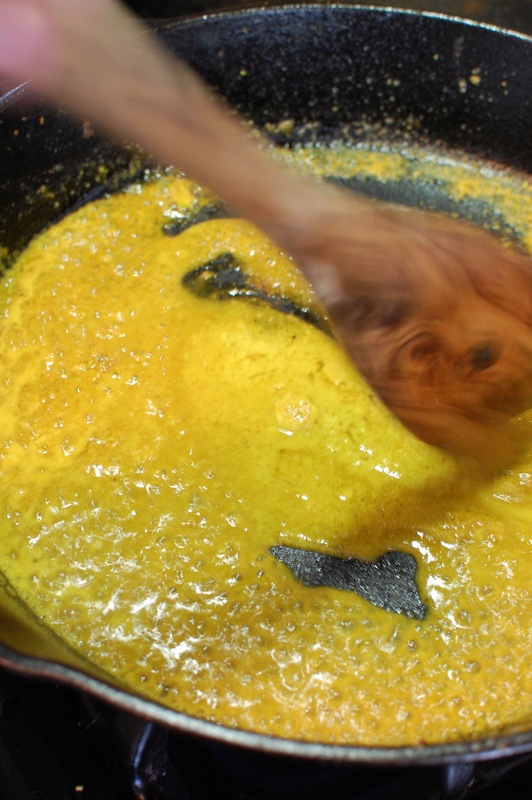 Mix garlic ginger paste, ½ cup water, turmeric, and coriander together. If using ground cumin, place this in mixture as well. Next, heat the oil in a pan that is large enough to hold the potatoes and cauliflower. Once the oil has heated, pour in the paste mixture and simmer until slightly thick. Around 3 minutes. If using whole cumin seeds, place in the oil before the mixture for 1-2 minutes. Then, add in the potatoes, cauliflower, and other ½ cup of water. Mix together and cover until fully cooked, mixing occasionally. Usually 10-15 minutes. I hope you love this recipe as much as I do! When you make this AIP Aloo Gobi, let me know your thoughts and if you take some photos, hashtag #holisticrendezvous and tag me @holisticrendezvous !